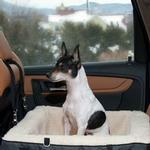 Keep your dog safe and comfy while riding in the car with the 3-in-1 Booster Seat/Car Seat/Bed! 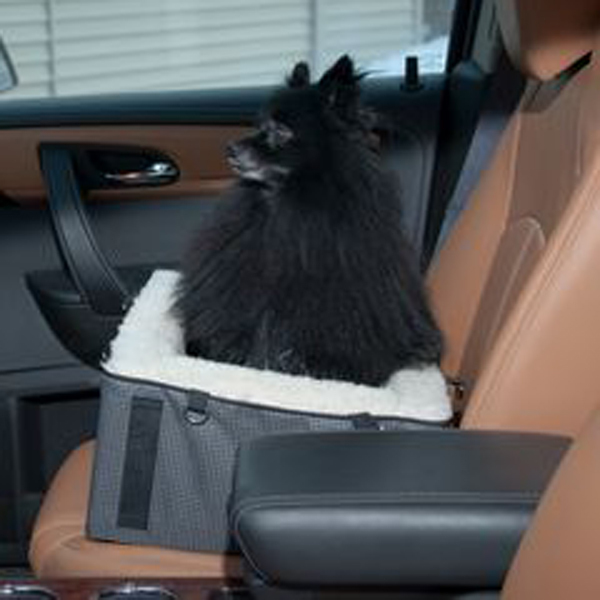 Pet Gear's 3-in-1 Booster Seat/Car Seat/Bed offers your favorite pet the ability to stay comfortable and secure without impairing driving abilities. This sturdy yet cozy booster seat utilizes your car seat belt system to secure the seat in place. It can also be elevated with the safety tether and strapped to the headrest for a window view that may alleviate car sickness in small dogs that otherwise can't see out. The dual attached tethers help to keep your animal(s) in place. Disconnect the seat belt and the booster/car seat can be brought inside and used as a pet bed. The cover is removable and washable. 3-in-1 Booster Seat/Car Seat/Bed - Slate Customer Photos - Send us your photo! Posted On 08/17/16 by ANNE V from , NY Yes, ANNE V recommends this product! 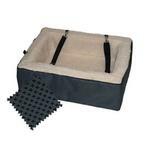 Based on the dimensions given, I ordered the medium 3 in 1 Booster car seat/bed for my 15 lb dog. The description should have included the dimensions of the actual space for the dog, which is only 13" × 9"(from manufacturers website) No way would my dog have room enough to lay down! Will be sending it back, hoping the xlg isnt too big... Otherwise, seems to be a very wellmade product. Recommending with reservations because of sizing issues. Posted On 05/19/15 by Melissa M from , ME Yes, Melissa M recommends this product! 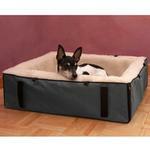 I absolutely love Pet Gear products! This met my expectations as far as quality and comfort are concerned. However, I ordered the size suggested for a 30lb dog and it is way too big for my back seat it took up 3/4 of the entire back seat so sadly I had to return it. Posted On 03/27/15 by Jennifer L from MILLIKEN, CO Yes, Jennifer L recommends this product! This is a great seat and well worth the price. It's very sturdy, fits securely in the seat and is very spacious. We've been looking for the perfect car seat for a while and this is finally it.